​​​​​​ FORT WORTH – Parker Products is creating a new manufacturing facility that its current facility can't handle. "Louisiana and New Mexico, those guys were throwing a ton of money," said Shon Essex, executive vice president at Parker Products. "We could have almost built our whole plant for nothing, but we would have lost our core set of employees." The company opted to stay in Fort Worth at 2737 Tillar St.
Its new facility will consolidate six buildings into one, 90,000-sf facility with room for an extra 30,000 sf of expansion. The company will move into its new place between Feb. 15 and Mar. 15, 2018. 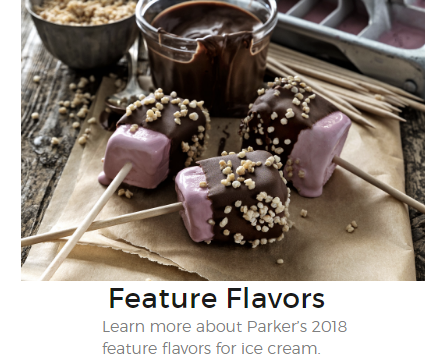 Parker Products makes the special inclusions that go in your sweets​. Predominantly, those are candy inclusions that go in things like ice cream. A large food manufacturer will come to Parker Products and ask them to make a speciality ingredient. Parker, with its staff of ten food scientists, tinkers with a recipe and sends prototypes back to the food manufacturer.